In 1998, Mark Brown opened the first Buckingham BBQ on the corner of Business Loop and Providence. At the time, the location was referred to as Columbia’s corner of death, since no restaurant had lasted longer then two years there. Buckingham survived more than 10. In 2006, Brown opened a new location on Buttonwood Drive, and the old location remained open until 2008. 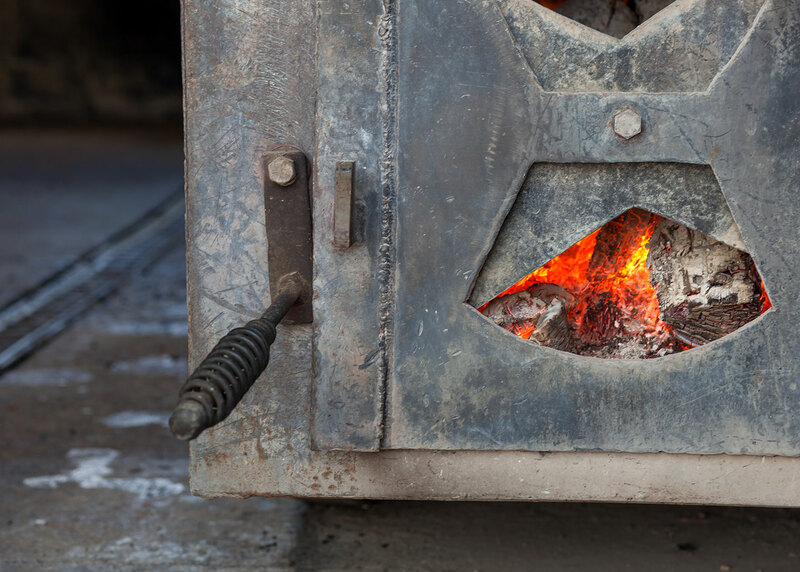 With a 5,000-pound smoker that’s 7 1/2 feet tall and 15 feet long, we burn over a cord of hickory wood a week. You won’t find any gas powered smokers at Buckingham. We smoke our meats fresh daily. 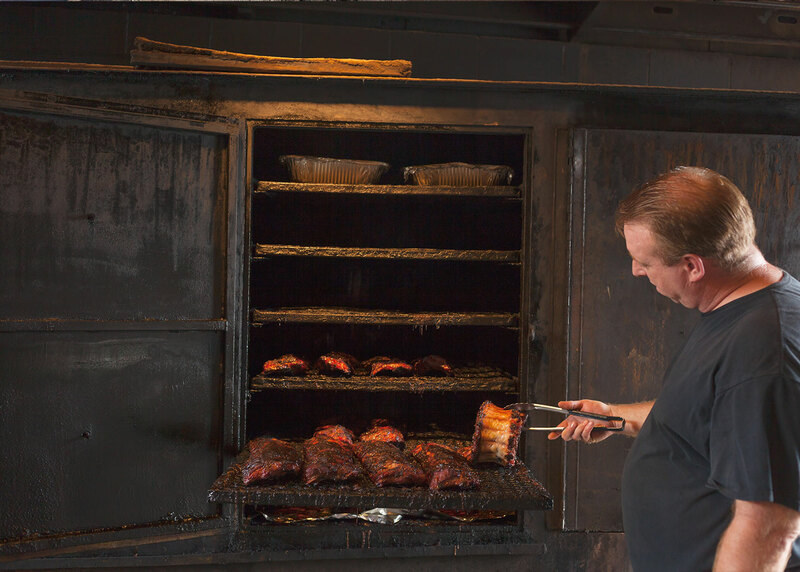 Buckingham Smokehouse has won Inside Columbia Magazine’s Best of Columbia Award for the past 8 years in a row. Before Mark got in the restaurant business, he spent 20 years on the road working shows for rock stars such as Pink Floyd, AC/DC, Elton John, Rod Stewart, Fleetwood Mac, Prince, Genesis, KISS, and a lot more. Just come on in and ask — he’ll tell you some good rock and roll stories!